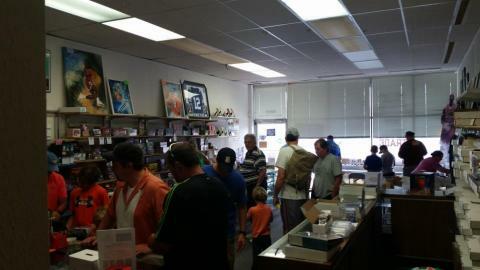 Indy Card Exchange hosts a sports card trade night 4 times throughout the year (once per quarter) and there is no charge to attend the event. Trade nights are usually held on a pre-determined Friday or Saturday and they go from 6:30pm to 9:00pm. During that time, customers are free to trade and make deals with other customers. Each person is allowed to bring in one 3-row box for trading as we have limited space in the shop. We also have a box/case break during each trade night that attendees can buy into. To find out when the next trade night is, please visit our event calendar. Make sure to contact the shop to reserve your spot for the next event!